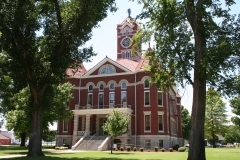 Constructed in 1881, the I.P. 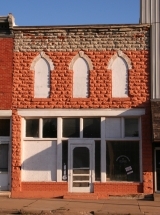 Campbell building is a two-story sandstone commercial building. 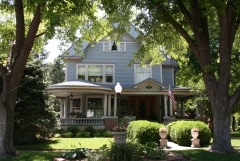 It is nominated for its architectural significance as a vernacular interpretation of the 19th century Gothic Revival style. 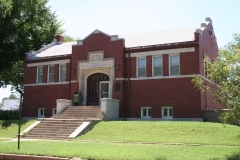 The building was constructed using native red sandstone while the windows are trimmed with gray "Winfield" or "Magnesia" limestone as it was referred to by historic newspapers of the time. 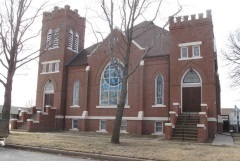 The First Congregational Church was completed in 1910 on a corner lot near downtown Anthony. 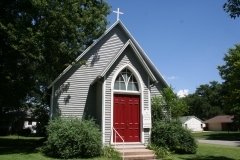 It was the congregation's second house of worship, replacing an older wood church built in 1880. Reverend B. F. Buck came to the congregation in 1908 and led the worshippers through the process of erecting a new church. 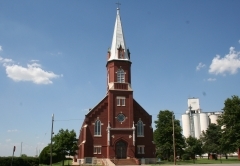 The church building committee visited churches in other communities for ideas and eventually settled on a tri-tower, Gothic Revival-style brick building featuring stained glass windows honoring Anthony's founders. The building's architect is not known. 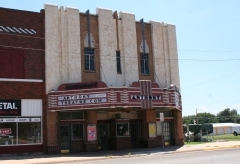 It was constructed during a prosperous period in Anthony that witnessed the formation of the Anthony Commercial Club, whose first president was Reverend Buck. It was nominated for its local significance in the area of architecture. 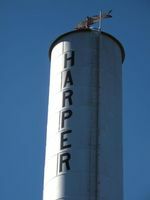 The Harper Standpipe, started in 1886 and finished in 1887, is significant for its association with community planning and development and for its engineering method of construction. 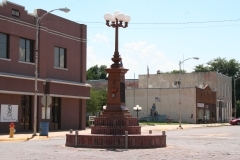 It is a unique example of a late 19th century standpipe with a base constructed of local materials and a standpipe constructed of riveted iron plates. The fish wind direction indicator on top still moves, and the standpipe is in current use as a part of the city water system.